Thousands have applied for the ability to fly drones. WASHINGTON — Thousands of would-be drone pilots are racing to get licensed under new federal regulations that have opened an aerial stampede. More than 3,300 signed up to take the test Monday, the first day it was available, and the Federal Aviation Administration estimates the number of drone operators-for-hire may exceed the nation’s 171,000 private pilots within a year. The first major regulations governing civilian drone operations permit anyone 16 or older to fly for hire if they pass a written knowledge test and background check. They can only fly drones during daylight, within sight, and no higher than 400 feet from the ground. “These aircraft truly have the potential to transform how we fly and they also offer many potential benefits to society,” Secretary of Transportation Anthony Foxx said Monday at a briefing on the new law. The FAA had already granted 76 waivers allowing commercial operations beyond the law’s basic restrictions, the agency’s administrator, Michael Huerta, said at the briefing, adding that most were for basic requests to fly at night with special lighting. Railroad BNSF Railway Co. obtained permission to fly long drone missions to inspect track. PrecisionHawk USA Inc., which provides unmanned flights for agriculture, got FAA approval for flights within 2 to 3 miles of an operator. Cable news channel CNN also will be allowed to fly over people for photography with drones that have safeguards to prevent injuries, Huerta said. The appeal is clear. 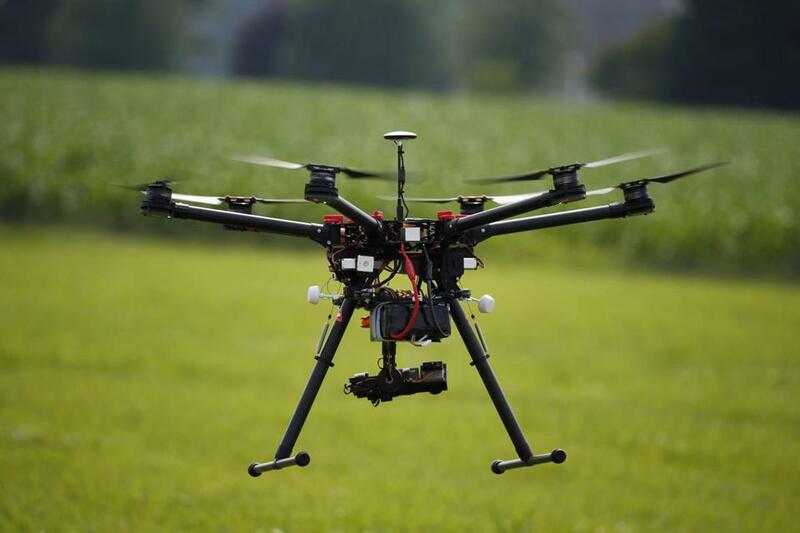 Drones can be used by farmers to monitor fields, by telecom companies to inspect cellphone towers, and by media outlets to videotape news events — often with greater ease and lower cost than using helicopters or fixed-wing aircraft. Industry officials at a congressional briefing on Aug. 24 predicted insurance, construction, agriculture, and electrical power companies, which have been cautiously exploring applications for unmanned aircraft, would now leap into such operations. The regulations also open the door to more small operators and service companies that fly drones for hire, they said. Before now, the FAA had required commercial drone operators to have a traditional pilot’s license, something that takes months and costs thousands of dollars to obtain. Now they simply have to pass a test costing $150, though some are opting to pay more for study courses. Larry McInnes, a Boston resident scheduled to take the exam Thursday, has pinned his future career hopes to the exam. McInnes learned this year that his job as a court reporter was being phased out. He had an interest in drone photography, but before the FAA announced its new rules he didn’t think it was feasible for him to qualify under the agency’s waiver program.